There is no shortage of tourbillons in the world of Haute Horlogerie. As a result, many brands push the boundaries of this complication further, into uncharted territory. Among them is Franck Muller, who gives the tourbillon center stage with the Vanguard Gravity Tourbillon Yachting. As the name already indicates, is this model based on the Vanguard Gravity Tourbillon, and given a more nautical appearance. First, there is the bold color combination or the red gold case with the blue strap and dial. These same colors dominate the tourbillon, which in turn dominates the watch itself. This is quite a feat as the Vanguard Gravity Tourbillon Yachting is by no means a small watch, measuring 44mm by 53.70 mm, and being 15.10 mm thick. However, it actually needs all this space to perfectly showcase the tourbillon, which had a diameter of 21.2 mm. With its off-centered balance wheel, which measures alone an impressive 14mm in diameter, it is mesmerizing to look at. The X-shaped bridge that holds the tourbillon is constructed like a dome, greatly contributing to the three-dimensional look of the of the watch. The tourbillon of the Yachting edition differs from the Vanguard Gravity Tourbillon in that the tourbillon cage is shaped like a wind rose. While this blocks the view of the balance wheel some more, it does ties in better with the nautical theme. We can also find a reference to this on the outer side of the dial, where the minute track has been replaced with winds of the compass and their corresponding degrees. 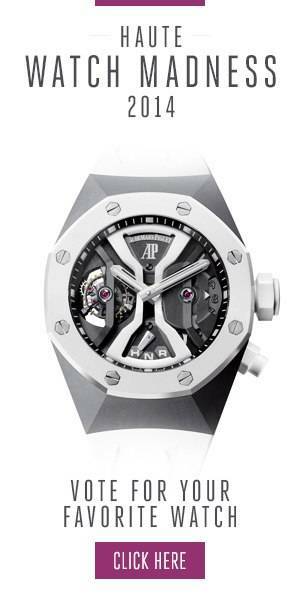 The manual wind movements offer a very generous power reserve of 5 days. All this is wrapped in a shape that has become a signature of Franck Muller. The Cintrée Curvex case is not only elegant and distinct but it also very comfortable to wear, even in larger sizes. It sets the stage for a “grande” tourbillon, pun intended, creating a very expressive watch in the process.